Amman, May 2017 –In celebration of the holy month of Ramadan,Markazia–the sole distributor of Toyota, Lexus and Hino trucks in Jordan – has announced the launch of an exclusive campaign for the duration of Ramadan, under which buyers can purchase a Lexus vehicle in three installments over three years, at an interest rate of 0%. 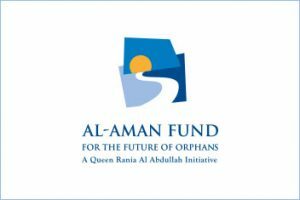 Taking the campaign one step further, for every kilometer driven in the Lexus vehicles during the holy month, Markazia will make a monetary donation to Al-Aman Fund for the Future of Orphans. Markazia is the sole distributor of Toyota, Lexus and Hino trucks in Jordan. Since 1999 it has established itself as a leading company in Automobile sales, after sale services and spare parts with five dealers spread over the Kingdom. Markazia aims to be a lifelong partner to the Jordanians, especially the youth, whose growth and success reflect positively on the company. Thus, building a CSR program and a strategic approach that is grounded in the community is what makes Markazia more than a distributor but an effective corporation that works for the betterment of society. Being Toyota’s sole distributor requires a solid value system that includes value for money, safety, quality, innovation and environmental responsibility. Markazia translated these values into measurable actions by applying ecofriendly solutions such as installing a photovoltaic system on its roof tops, providing Jordanians with superior after sale services and situating the customer at the center of every strategic or tactical approach.